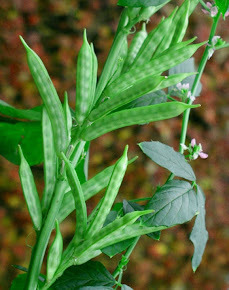 GUAR GUM INFORMATION AND GUAR GUM CULTIVATION IN INDIA: Guar Korma the emerging base of Guar Gum Industry. Guar Korma the emerging base of Guar Gum Industry. In this worst performance of guar gum, guar korma is emerged as main leverage for the guar industry. Low global demand, excess production and low prices of crude oil and natural gas is putting a negative impact on guar gum prices. Industry is getting strong support from Guar korma. Three year before when prices of Guar seed were Rs 27,000/100 Kg and guar gum at Rs 90,000/100 Kg at that time rate of guar Korma was only Rs 5/Kg. Now it is totally different , guar seed is at Rs 3700/100 Kg and Guar Gum is at Rs 7800/ 100 Kg and guar Korma is at Rs 2600/ 100 Kg. There are two possible reason. Protein content in Raw Guar Korma is up to 45 % which can be increased up to 56% -58 % by cleaning and roasting of Raw Guar Korma. At the another side Soya oil Cake is major competitor of Guar Korma with maximum 45 % protein. Cattle feed industry prefer Guar Korma over Soya protein. Guar Korma is more digestive in nature and it is cheaper than Soya. Demand of Guar Korma is very high from the cattle feed industry. 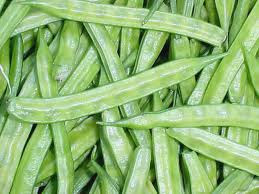 At another side there is low demand of guar gum so processing of guar seed is almost closed, that's why supply of the Guar Korma is very low and demand is high. 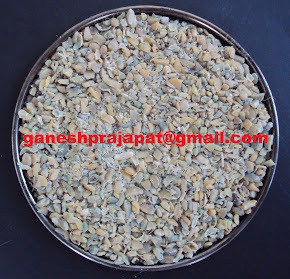 There is huge potential of Guar korma from cattle feed industry. In coming two three year it is not impossible if Guar korma reaches at 5000-5500. Market of Guar Korma is very sound and is growing Day by day. Cattle feed industry will now downfall like oil and natural industry. Demand of cattle feed will increase day by day.